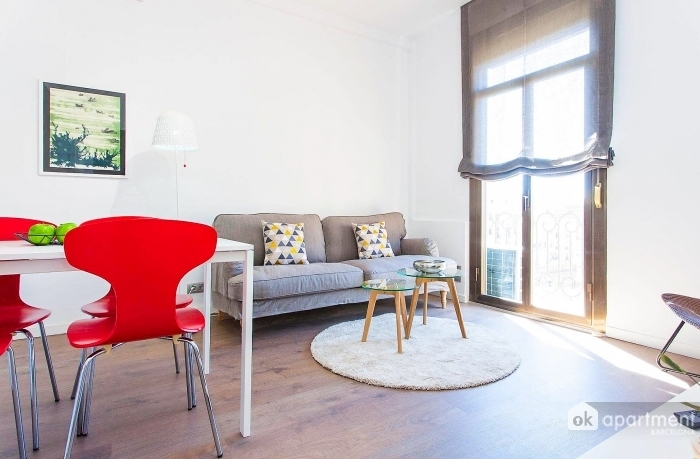 This bright apartment in located in the district of Sants-Montjuïc in Barcelona. This is fully furnished and equipped flat is composed of two bedrooms with double beds, a bathroom with shower and kitchenette with dishwasher and everything you need for cooking. The living room is with a dining area. This room is very spacious and bright. You have access to the balcony to enjoy the great views. The apartment also has a washing machine, TV and air conditioning. Internet connection is included in the rental price. This flat is located in a quiet and central neighborhood which is close to all amenities. You can enjoy the wineries and tapas. 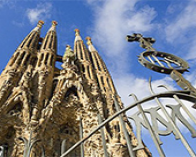 The nearest metro are "Plaça de Sants" and Mercat Nou (L5).